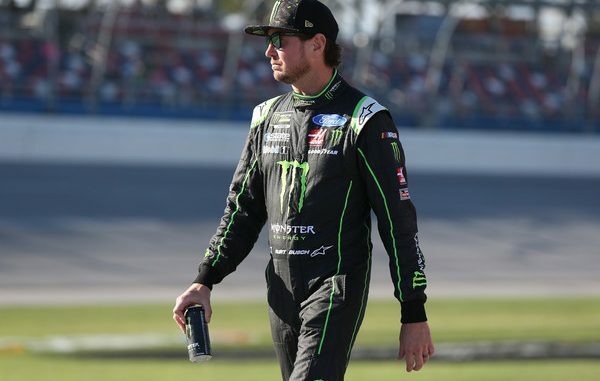 Kurt Busch was none too happy after Talladega Sunday. After leading a race high 108 laps and winning a stage, Busch looked to be in a great position to score his first Talladega win. He missed it by one turn. After pitting with the rest of his Stewart-Haas Racing teammates on lap 138; the four lined up as they and done all race long and put the rest of the field behind them. That left them with one problem, fuel mileage. Each needed to conserve fuel in order to make it to the end. In the final laps, the SHR train led by Busch had separated themselves from the field. Then Alex Bowman spun into the wall in turn 4 sweeping up J.J. Yeley with 2 laps to go. The races sixth and final caution set up the overtime finish. During the caution both Busch and Harvick reported their fuel pressures dropping. Harvick decided to pit, Busch rolled the dice. 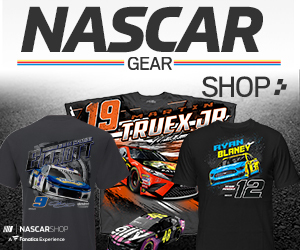 Busch retook the lead on the overtime restart and took the white flag firmly in control. Behind him however Chase Elliott was swept up in a crash with Matt DiBenedetto entering turn 1. NASCAR didn’t throw a caution, which would have ended the race and froze the field with Busch in the lead. Busch led entering turn 3 but began to slow; Aric Almirola with a push from Ricky Stenhouse Jr., was able to shoot by on the outside exiting turn 4 and onto the win. “Yeah I was trying to use all the information I could with my guys telling me about how the other teammates were lifting, what their fuel mileage looked like and then you don’t want to conserve too much and draw the gap of our cars back to the other guys,” Busch said after the race.